We have been seeing trailers and news coming out on the launch of new Star Wars game in the Angry Birds series. However, Rovio the creators of popular Angry Birds game have rolled out what they claim to be the official trailer of the upcoming Star wars sequel to Angry Birds, giving fans an insight into what they can expect to see when the game is released on November 8. Unlike the earlier trailers which came out, this one seems to have the full feel of the new game with visuals and music already getting popular among the Angry Bird and gaming lovers. The official trailer last around 1 minute and shows characters like Princess Leia, Chewbacca and Luke Skywalker in full action. Trailer also shows off the weapons and gadgets in action like lasers galore and lightsabers. It is not just the visuals, but also the music which gives the true feel of Star Wars in this new trailer. Music seems to be a mix of the classic Star wars theme song and the upbeat music of Angry Birds. Users and game lovers are sure to get impressed with this content rich musical trailer. This new game is expected to be released by Thursday. Since its launch, Angry Birds game has evolved out continuously and Rovio has made sure that they always enhance the game adding interesting elements. 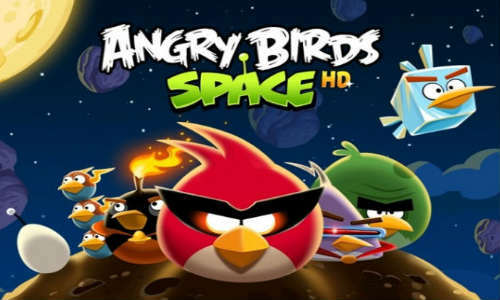 Angry Bird Space is one such enhancement which has come from the creators. Though the game play and graphical layout has not changed much these interesting themes and elements have made sure that it remained popular and one of the most downloaded game in the history of the gaming. Watch the official trailer of Angry Birds Space War game.